Hungary has received the backing of its anti-mass migration allies in Poland and the Czech Republic following a vote of censure in the European Parliament, which the Central European country’s foreign minister has denounced as “petty revenge”. “Today’s [European Parliament] decision is the petty revenge of pro-migration politicians,” declared Péter Szijjártó. 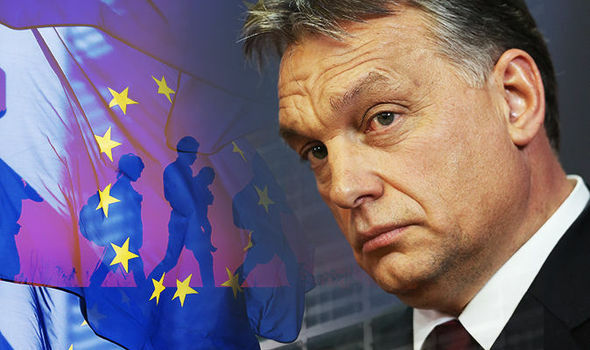 The Hungarian suggested that the EU establishment was seeking to make an example of Hungary, which was subject to an Article 7 vote, which could see the country stripped of its voting rights. This is because Viktor Orbán’s government “proved that there is no need for migration and migration can be stopped” and this angered pro-migration politicians, in Szijjártó’s estimation. “The decision [to censure Hungary] is yet more proof that there is a pro-migration majority within the [European Parliament]. We already knew this, but today we acquired more proof that they are in majority in the [European People’s Party] as well,” Szijjártó said, referring to the so-called ‘centre-right’ bloc which Hungary’s ruling Fidesz party sits with in Brussels and Strasbourg. The EU establishment may have a hard time authorising Article 7 proceedings in the European Council, however, as its V4 allies are already stepping forward to say they will veto any attempt to levy sanctions. “Every country has its sovereign right to make internal reforms it deems appropriate,” declared Poland’s foreign ministry — representing, as it does, an anti-mass migration conservative government facing its own Article 7 tussle with the EU. “Actions aimed against member states serve only deepening divides in the EU, increasing citizens’ current lack of confidence to European institutions,” the ministry added. Czech leader Andrej Babis was similarly robust on the topic: “This nonsense just ushers in negative sentiment into the European Union,” he said after the vote. “I stand behind Orbán. We are allies,” he added. In any event, the Hungarian government has said it intends to challenge the legality of the parliamentary vote, with Péter Szijjártó claiming that the vote was fraudulent, claiming the EU assembly “adopted the document through voting fraud because they didn’t take abstentions into account”. According to the Hungarians, the Article 7 vote should have required “the support of 50 percent plus one of all MEPs… and those votes should constitute a two-thirds majority of all those present,” alleging the Parliament disregarded its own rules and ignored abstentions.